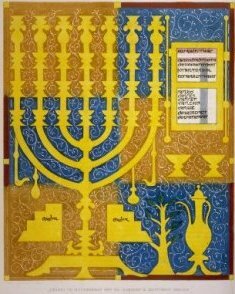 This 'Jewish Roots' site contains research of a proudly discovered Jewish heritage from many sources. My maternal Gt Gt Grandmother Rebecca BETAN (BITTAN) was born on the 16th June 1839 at 17 Dorset Street, Spitalfields and died in Crispin Street, Spitalfields in London. Her father Joshua was born in Morocco and her mother Phoebe from the long established London family of NUNES-MARTINEZ (MARTIN). Rebecca's husband Benjamin REES's family came from Amsterdam in Holland. The family tree ancestor diagram starts with my maternal Great Grand Mother Rosa (Rose) REES who married Charles HALL and later William SMITH. My grateful thanks go to Joan Holness who kindly presented me with her research of the NUNES-MARTINEZ (MARTIN) family. I am also very grateful to those members of the Jewish Genealogical Society of Great Britain and others on Jewish message boards who so freely gave of their research. It contains family names of BETAN (Bittan), HALL, HART, HYAMS, ISAACS, MENDOZA, NUNES-MARTINEZ (Martin), REES and many others. Please note INDEX of names at top of this page and please contact me for any additional family details or corrections.